Opening acts are often overlooked, sometimes even skipped. But boy, am I glad that I caught Thumpers when they pumped up the stage for Chvrches last October. The London-based duo consists of Marcus Pepperell and John Hamson Jr., who have been friends since secondary school. A cast of supporting musicians accompanies them on their live shows. I had a rather gruelling interview in the afternoon, so it’s music to the rescue! The venue is the spacious underground of Soup Kitchen and I clinch a front-and-centre spot up close to the stage. The band play a total of 10 songs, all from their debut studio album, Galore – released just this month. Thumpers’ sound is along the veins of indie pop, rock and electronic with a large dose of creativity in the form of vocals and natural percussions. From the moment they begin until the very end, Thumpers is bursting with energy. Literally. The energy is literally bursting forth from the stage, so much so that at one point, Pepperell steps off the stage and plays his electric guitar mere feet away from me. A perfect example of the high-octane performance is ‘Marvel’, which kicks off the night with very solid and strong drums, courtesy of Hamson. Despite only having one album (and two EPs) thus far, Thumpers has no shortage of fun tunes and rocking melodies. They effortlessly and ingeniously meld these splendid harmonies with original sounds by clapping hands and choral vocals. For instance, ‘Tame’ begins with an addictive electric guitar riff that is then imitated by the female vocalists, Frances Eva Lea (who also plays the keyboard) and Amina Gichinga (who also plays the trumpet). Another song that demonstrates this is ‘Roller’, where Lea and Gichinga lead the crowd as they clap their hands to the beat. I have heaps of praise for the girls, who are such multi-talented ladies and are instruments in themselves in terms of the vocals and natural percussion elements they lend to the live show. 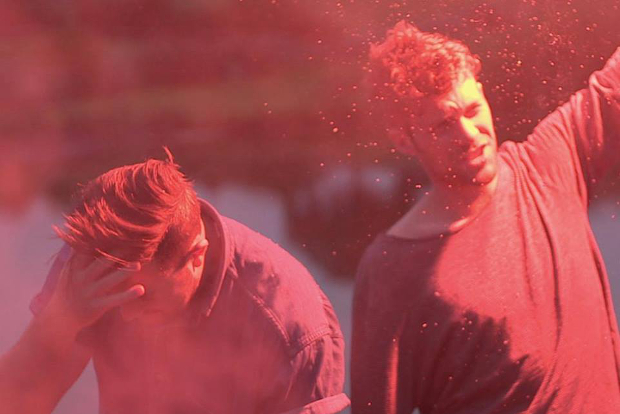 Thumpers show off a slightly softer side when they perform ‘Now We Are Sixteen’. Pepperell sings into his electric guitar, and that is then recorded by Oliver Smith who makes magic on his MPC (Music Production Center), turning it into effects that sound similar to waves. It ends on a sensitive note, with Pepperell and the girls singing in unison. Besides that, ‘The Wilder Wise’ is also slightly different from the rest of the set. It seems to be in a more minor key, which gives it a dark quality that adds nuance and variance to the performance. I have many personal favourites (including several mentioned above), such as ‘Dancing’s Done’, ‘Sound of Screams’, ‘Galore’ and ‘Unkinder (A Tougher Love)’. But my absolute highlight is ‘Together Now’, which begins and ends beautifully. It starts with Hamson playing a bell with a drumstick, producing a slowly spreading ring. Then it ends with Gichinga playing a terrific hook on her trumpet, producing a lush and powerful close to a smashing night.